Surety Bonds are similar to traditional insurance in the sense that they help to mitigate risk for both parties. By definition, Surety, or Surety Bonds are guarantees purchased by one party to fulfill an obligation or debt to a second party in the event of default or failure to meet obligations. Surety Bonds, unlike insurance, is a contract between three parties: The Obligee, The Principal, and The Surety. The Obligee is the party who is expecting an obligation to be met such as the homeowner in a home improvement project. The Principal is the party who holds the obligation to complete a task such as a contractor in a home improvement project. The Surety is the company assuring the Obligee that the Principal will complete their obligation. In the event that damage occurred, or the project was abandoned, the Obligee will be able to recover losses. There are several different forms of Surety or Insurance Bonds. The most common form of Surety Bonds are ‘Contract Bonds.’ These bonds are available to mitigate the risks of contracting help or services. There are three types of Contract Bonds that Bogle Agency Insurance covers; Performance Bonds, Bid Bonds, and Payment Bonds. While all Contract Bonds help to mitigate the risk of a project, each type of contract bonds cover various specifics. In addition to Contract Bonds, businesses can explore other forms of assurance such as Indemnity Bonds, License Bonds, Estates – Receivership – Trusts, Fidelity Bonds, and Environmental Bonds. 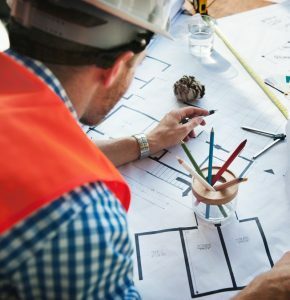 Although there are several different types of Surety Bonds, each type has a general goal: To protect the project owner from damages resulting from delayed projects, damage during project execution, or financial damage caused by contractors or employees. Are Surety Bonds The Same As Insurance? Unlike insurance policies, some companies or organizations have no need for Surety Bonds. Depending on the industry your business resides, you may not require anything other than general liability insurance. On the other hand, if your business often bids on government or municipality projects, you will need to purchase Surety Bonds on a regular basis. Even if your industry or projects do not require Surety Bonds, this form of risk mitigation can help incentivize your company to finish work on time, achieve goals and avoid potentially dangerous shortcuts. Bogle Agency Insurance offers Surety Bonds, or Insurance Bonds, to individuals, companies, and organizations across New Jersey. Our Bergen County Based Insurance Agents can help you or your company choose the correct Bond for your business and project! Learn more about Surety Bonds available through Bogle Agency Insurance!